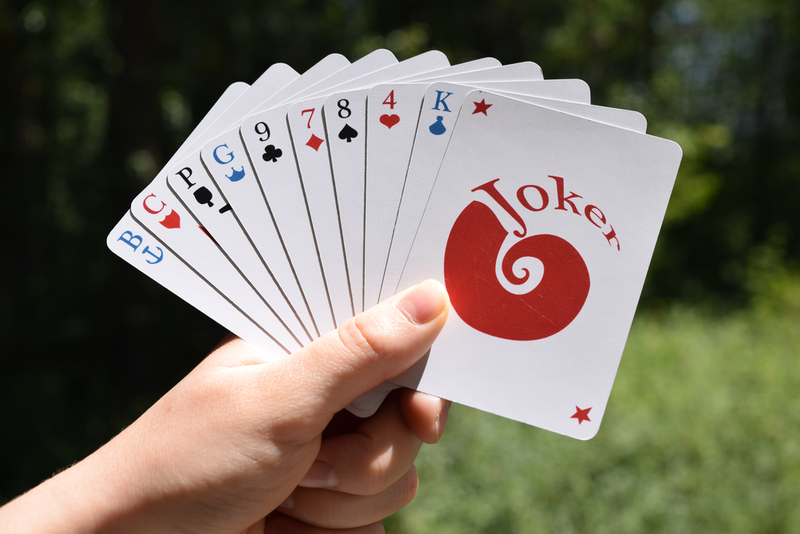 Invent games, add new depths to old favourites, or simply mix it up by using different suits and colours with this flexible extended playing card deck. 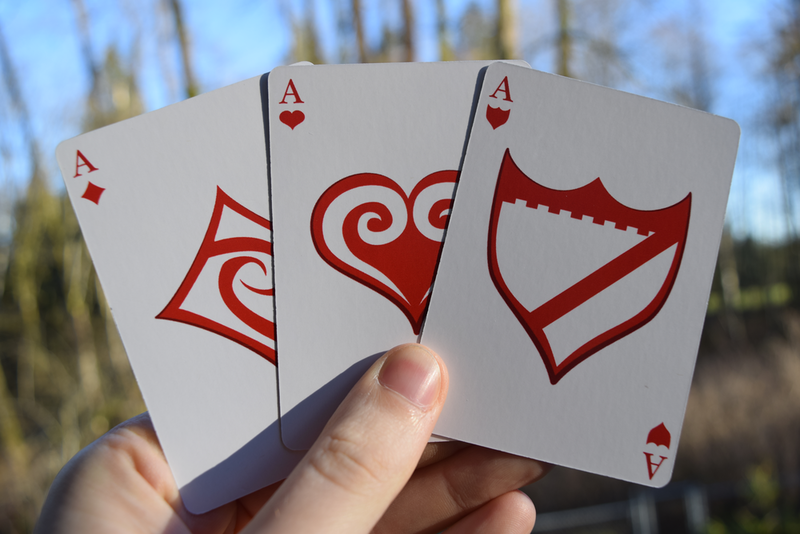 With 5 new suits and 4 new face cards, the possibilities are endless! 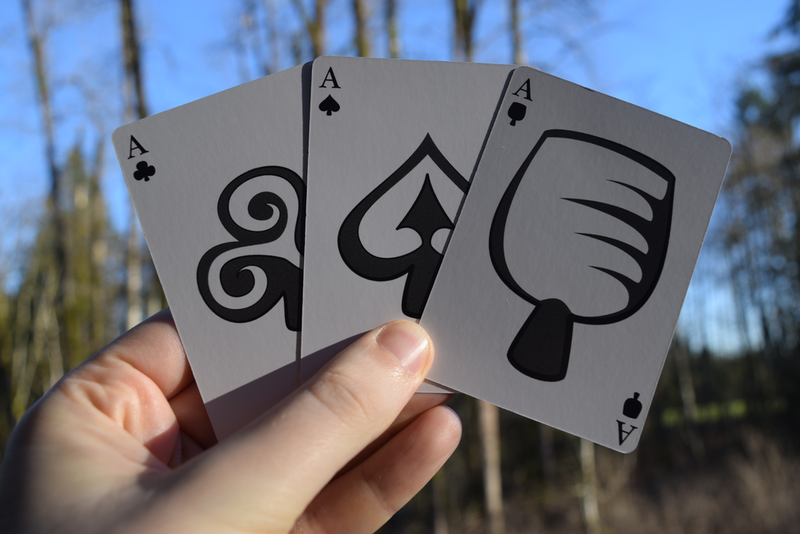 A religious theme was chosen for the additional face cards because it was a logical extension of the medieval theme of the traditional face cards. 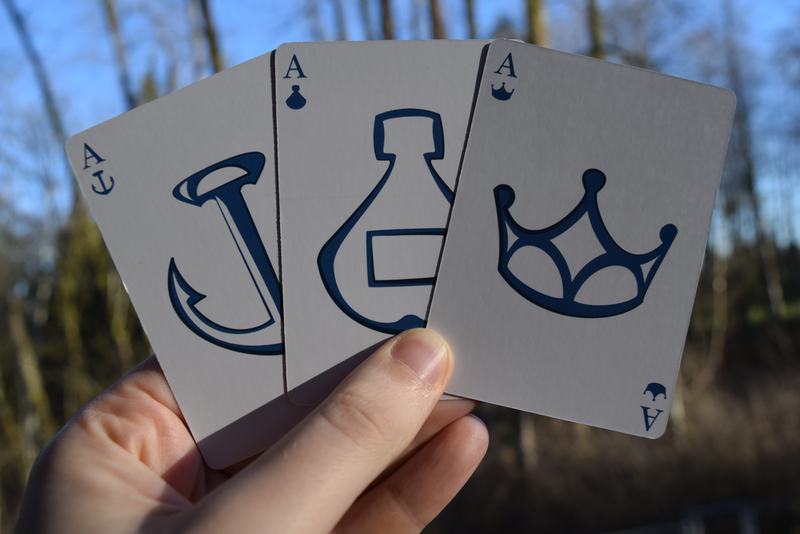 The only power comparable to the royalty was the church. 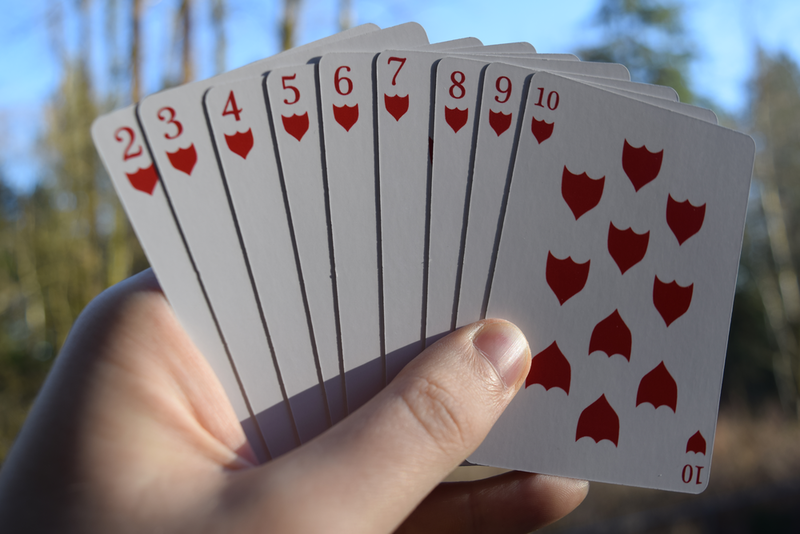 In order to make the deck more flexible, each face card is marked only with a letter corresponding to its name (i.e. 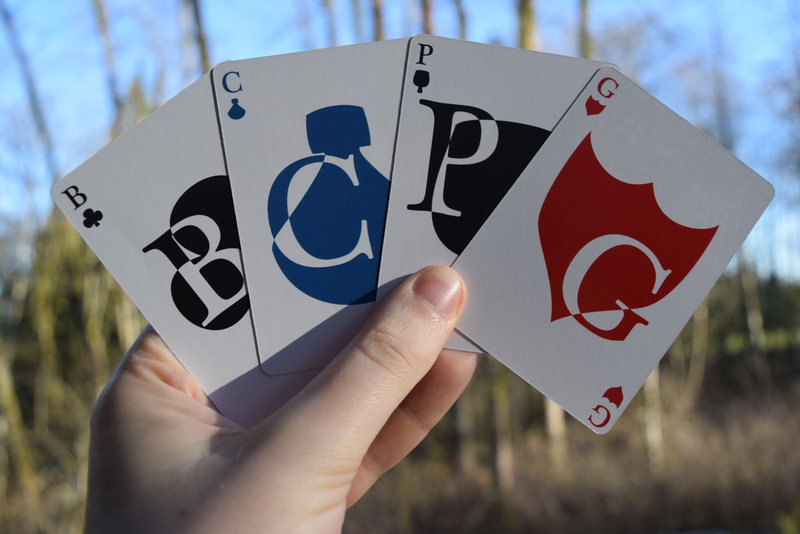 "J", "Q", "K", "B", "C", "P", "G"), so games are free to interpret these cards as they wish.